A very fast, easy and hassle-free Pearl Harbor visit. No waiting in line, Pick up from Honolulu port directly to Pearl Harbor. We will provide complimentary cold drink, transfer with the clean, nice and fully insured vehicle by professional chauffeur. USS Arizona Memorial and USS Bowfin Submarine, Pacific Aviation Museum and USS Missouri tickets are included in this package for clients. Feel the comfort as we takes you to the most visited Pearl Harbor historic sites. 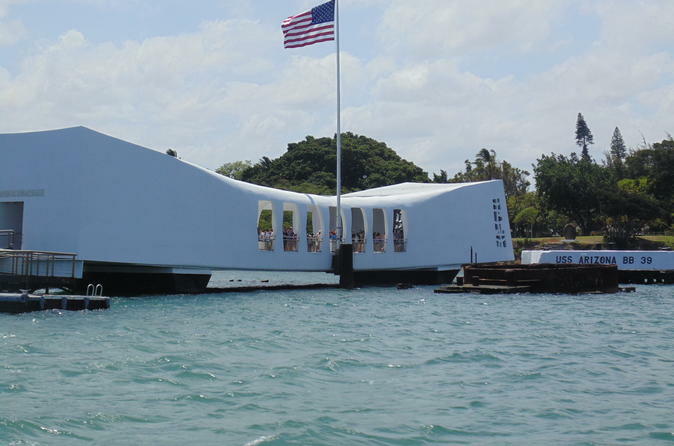 This executive level small group Pearl Harbor tour includes the USS Arizona Memorial, USS Bowfin Submarine, Pacific Aviation Museum and USS Missouri tour and a complimentary drive through tour to some great places and structures in historic Downtown Honolulu. We are not responsible and does not extend financial reimbursement for delays caused by factors such as traffic, weather, mechanical issues, or problems concerning Navy-operated shuttle boats. The U.S Navy have right to shut down the boat for public safety. This is beyond our control and power we cannot be hold responsible for their action.